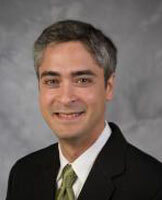 Professional Engineer in the commonwealth of Puerto Rico , Dr. Irizarry also serves as Assistant Professor at the Georgia Institute of Technology’s School of Building Construction in Atlanta , Georgia where he directs the CONECTech Laboratory which goal is to enhance the construction environment through cognitive technologies. Dr. Irizarry is experienced in CPM Scheduling development, updating, maintenance and analysis, recovery schedule development, schedule delay analysis, productivity analysis, conceptual cost estimating, change order management, budgeting and cash flow projection, payment application management, safety compliance evaluation, energy audits, and mobile application development. His experiences span public infrastructure and private development projects totaling over $400 million. Project types include schools, water treatment plants, athletic facilities, condominiums, parking garages, waterways improvements, airport facilities, site development, roads, bridges, and passenger rail systems. Dr. Irizarry is the author of several articles presented at national and international conferences including: “Assessment of Risk Perceptions of Ironworkers, “Effect of Safety and Environmental Variables on Task Durations in Steel Erection,” “Technology Enhanced Construction Safety Training for the Hispanic Workforce,” “Mobile Applications for Information Access on Construction Jobsites,” “Situation Awareness Approach to Construction Safety Management Improvement,” “Analysis of Safety Issues in Trenching Operations,” “Excavation and Trenching Safety: Existing Standards and Challenges,” and “Trench-Related Fatalities in Construction; An Analysis of Fatality Assessment and Control Evaluation (FACE) Records.” Co-author of Chapter 26 of Construction Safety Management Systems; “Trenching Accidents and Fatalities: Identifying Causes and Implementing Changes” (Spoon Press).